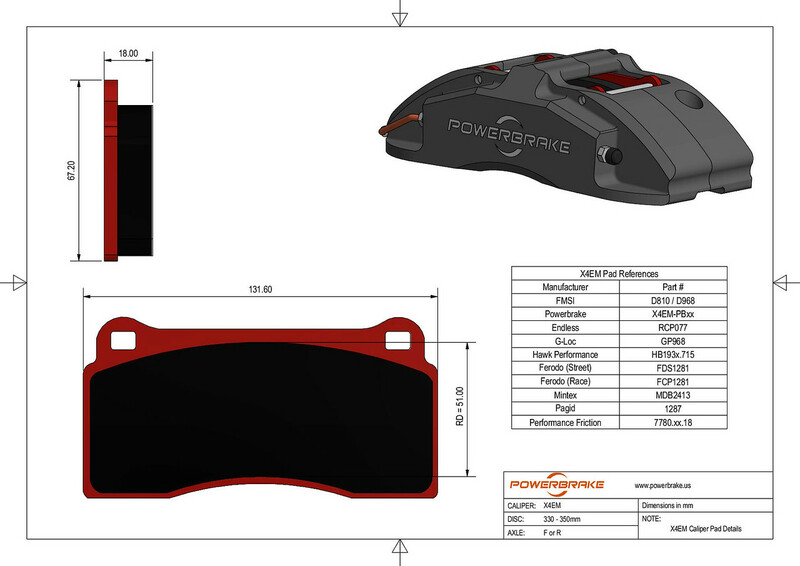 Powerbrake's base of operations is South Africa, and Vorshlag has worked with this company since they first brought their products to America. We also tested Powerbrake upgrade kits on our own street and race cars before we felt confident to sell them - we now trust our brakes to Powerbrake. 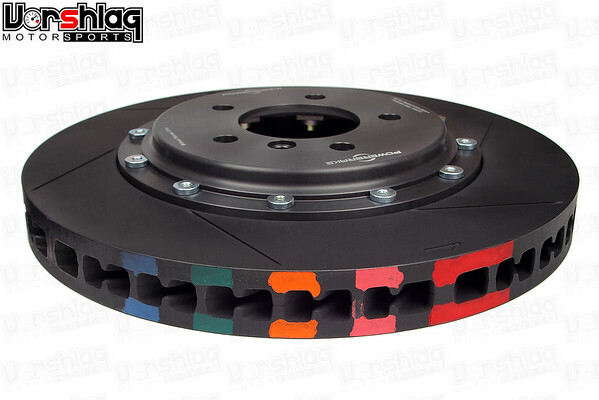 Powerbrake's X4EM front brake upgrade kit for this E46 M3 chassis is extremely similar to that of the Non-M version we have tested extensively here at Vorshlag on one of our shop owned cars, a 2001 330ci used for road racing and autocrossing. Uses FMSI D810 / D968 pad profile. Brake pads are not included! 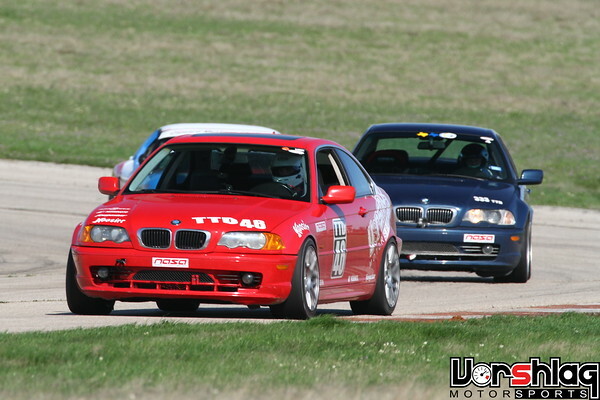 This Powerbrake kit is made to replace the front brake components on the E46 M3 chassis - rotors, calipers, lines, and brackets. The engineers at Powerbrake have designed this kit so that when using the factory rear brakes and master cylinder, hydraulic ratio and pedal travel will not be affected. You can read about our testing with this X4EM kit on our shop BMW in Vorshlag's project build forum thread. 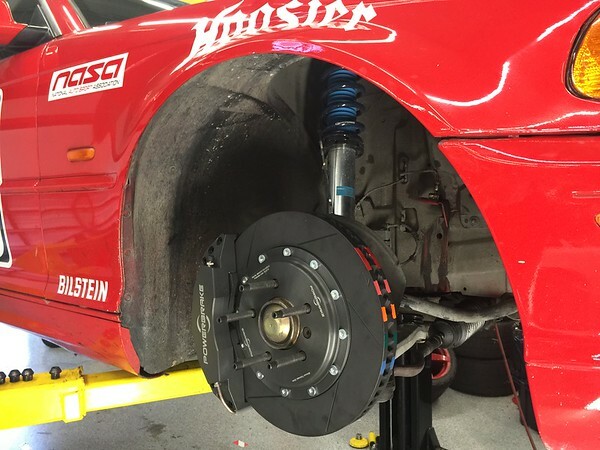 Note that even while upgrading to larger 2-piece Powerbrake 330x32mm rotors and massive 4-piston fixed calipers, this big brake kit still dropped 6 pounds compared to the factory 2-piston floating caliper and tiny rotor. The change in braking feel and performance was massive - more than we thought possible. Vorshlag has tested the front X4EM caliper and 330mm rotor disc with a number of wheels. 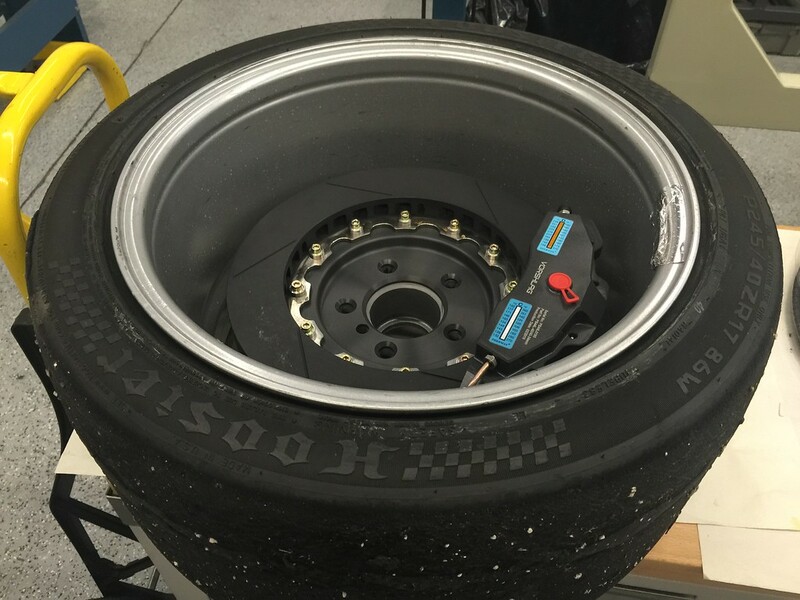 We have even fit them under certain stock wheels. You can download the PDF for a Wheel Fitment Template for this kit here. This template will help determine if your wheels will fit over the larger caliper and rotor. This kit can also be supplied with 350x34mm rotors, but will not fit under stock wheels. This Powerbrake X-line brake upgrade does not include pads - to allow you to choose the brake pad supplier you are comfortable with. Some folks like to stick with what they know, and that is why the common FMSI D810 / D968 pad profile was used for this caliper - many pad suppliers make this common pad shape. You can see part numbers for this pad from several brake pad manufacturers in the drawing below. ﻿Powerbrake also offers a range of brake pads to fit the X4EM caliper, which cover all types of street, dual purpose, and racing uses. Please see the brake pad options for the Powerbrake X4EM caliper in this "Brakes" section. Feel free to call Vorshlag for pad brand and compound advice.